Product testing provides you with valuable insights throughout the entire lifecycle of your product, from first idea to customer satisfaction. Here’s how to run a product testing project. The benefits of product testing begin before the product itself is a reality, thanks to concept testing, which allows you to explore the viability of your idea by viewing it through the eyes of multiple potential customers. Using a survey format, you can gather their feedback on one or more rough concepts before defining and developing the ones that resonate with them the most. It’s the best place to start as you’ll be able to take the temperature of various concepts before you invest too much in developing them. Those that particularly resonate with your target audience could then go into further development before going back out to test with something closer to a finished product. Conjoint analysis is a powerful method for comparing multiple product attributes. Through survey stimulus, respondents consider a trade-off scenario between different features, with their choices revealing which ones are most valuable to them. 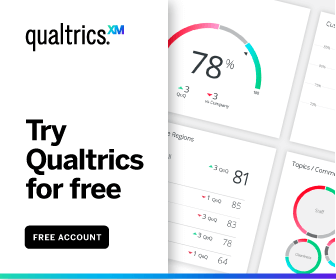 One of the most simple and robust conjoint analysis methods is Self-Explicated, which is included in Qualtrics Research Core package as a standard feature. With this two-phase process, respondents first eliminate features that are unacceptable to them and then evaluate the remaining features relative to each other. The choice of product features should be made during concept testing, when minimal resources have been committed to any particular product configuration. To arrive at the right choice, customer needs research is used to understand which features are valued the most and where there are gaps in the market your product could fill. You have a winning combination of product features and your research shows your concept is really hitting the mark with your target audience. But how much would they be willing to pay? The factors involved in pricing a product go far beyond knowing the target customer’s budget. A wide range of techniques can be used to assess responses to price, from direct questions about the monetary value to more nuanced tests that compare acceptable prices in different buying contexts. Psychological factors are also key. Price a product too high, and the respondent won’t even think about buying it. Too low, and they will question its quality. From question format to flow, the way your survey is designed will directly influence the quality of data you collect. Make sure the tools of your trade are as carefully crafted as your product experience is.